A native of Hong Kong, Andrew Ling is currently the principal violist of the Hong Kong Philharmonic Orchestra. He has performed solo performances with the Hong Kong Philharmonic Orchestra to critical acclaim. In the past, he had assumed the role of concertmaster at the IU Concert Orchestra, the Terre Haute Symphony Orchestra, and the principal violist of the IU Philharmonic Orchestra. Ling had recently conducted the Hong Kong Philharmonic Orchestra educational project in rehearsal for the late Maestro Lorin Maazel. He also conducted the Seinäjoki symphony orchestra and Kuopio Symphony Orchestra in Finland. He is also the guest conductor for Hong Kong Baptist University symphony orchestra. He has worked with maestros including Jaap van Zweden, Edo de Wart, Leonard Slatkin, Lorin Maazel, to name a few. Ling began studying the violin at the age of six under the tutelage of the late Professor Lin Yaoji of the Central Conservatory of Music, Beijing. As a child, he toured around the world as a violin soloist with the Hong Kong Yip's Children's Choir, He has also collaborated with the Hong Kong Philharmonic Orchestra, the Hong Kong Chinese Orchestra and the China Film Philharmonic Orchestra, and has given recitals in Hong Kong, the North America and Europe. Ling is an active chamber musician, having performed with Cho-Liang Lin, Jaime Laredo, the Shanghai String Quartet and has been invited as a guest artist at the Chamber Residency of Banff Centre in Canada and the Hong Kong International Chamber Music Festival. 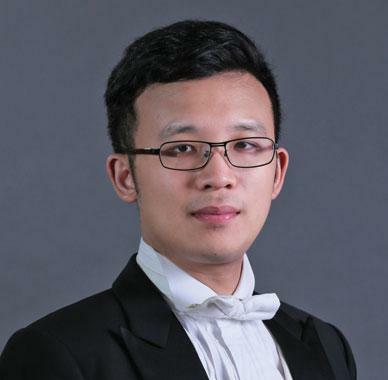 A dedicated music educator, Ling has directed The Robert H. N. Ho Family Foundation Orchestral Fellowship Scheme as well as been invited to teach at the NTSO Youth Music Camp in Taiwan. He is currently an adjunct faculty member of the Hong Kong Baptist University and the Hong Kong Academy for Performing Arts. Ling completed his undergraduate and graduate studies at the Indiana University, and have studied at Rice University in Houston. He has had a broad musical education having studied with Henryk Kowalski, Ik-Hwan Bae, Alan de Veritch and Cho-Liang Lin.